It's the start of a new year, and we all have goals and hopes and dreams to accomplish this year. Some of us may have written them down, and others may just keep them in our head. I know as a believer one of the desires that are always in the back of my mind is getting more time with the Lord. 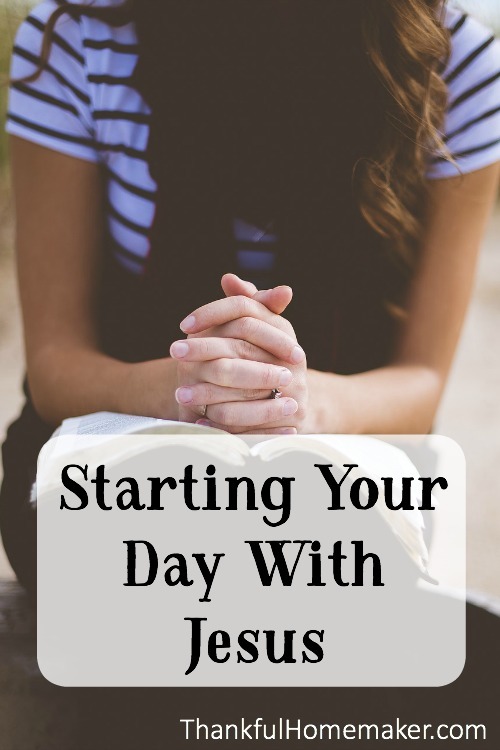 At the start of the new year after working through my spiritual priorities, I sit and plan what my time with the Lord will look like in the mornings. My hope is you're not giving up on this post thinking I'm going to tell you that you have to wake up at 4 am and meet with the Lord for hours. Although at this season of my life that sounds lovely. Please stick with me as I hope to encourage you to start where you are, and hopefully, a daily habit will begin and grow from there. I have several thoughts I'm going to share, and I'm hoping one of them will resonate with you so if you are not in daily fellowship with the Lord in His Word and in prayer that you will be pondering how to make it happen as soon as tomorrow morning. The three-minute rule is a great help in developing a morning routine habit from Kat Lee at Hello Mornings. She also calls it the Three Minute Morning Routine, and it merely is just starting a habit by doing three things that take less than three minutes. She calls it her “God + Plan + Move”. The first is to pray through Psalm 143:8 (first minute), next is to check your calendar for the day (second minute) and last is to drink a big glass of water (third minute). I know you're thinking well how is that helping me get time with the Lord? Well, the answer I would give you is it is better than if you are doing nothing right now. You need to start somewhere and if you've had past seasons in your time in the Word where you spent much time you may feel it's not enough. The hope here is this will develop a habit that is more than just the three minutes but entails hunger to spend more time with Jesus and becoming a woman who meets with Jesus every day. The three-minute rule is just a starting foundation that the hope is you will build on top of as time goes on. We all know the reminder I'm going to give you; nothing will happen unless you are intentional about your time. We need to plan, and this is a simple starting place. I encourage you to visit Kat's website for more information and she has a new book out that will be a help to many busy women in a daily meeting with the Lord. So let's move forward a bit to those of you who are beyond just building a three-minute habit. If you're in a busy season right now, maybe you think I have more than three minutes, but I'm not so sure I have more then ten. Ten minutes with the Lord is better than no minutes with the Lord. My hope is your goal when the season or day permits would be for a bit more time, but this may be the reality of your life right now, and that is okay. I would be thankful for 10 minutes with my kids a day than no moments with them. I love them, and I love spending time together. It's not about the perfection of our time together either I just love being with them. This is how I feel towards the Lord. I love Him, and I'm thankful to get those moments to sit with Him and usually those ten minutes turn into much more because I love to be with Him. We have those ten minutes so what do we do? How many times have we read God's Word, closed the book and not remembered a thing we read? I know I'm not alone in this one. I want to encourage you to break down that ten minutes to make the most of it. Read the Word for 5 minutes, meditate on a specific passage from your reading for 3 minutes and pray for the last couple of minutes. Our reading of the Word is so good because it exposes us to the truths in the Word, but mediation is the absorption of God's Word into our hearts and minds. Absorbing the Word is where we are transformed and experience God. When we meditate, we think deeply about what we just read. We may pray through the passage or ask questions of the passage. When we do that, all through the day the Lord will bring that scripture to our mind, and we will be able to remember what we read and work through it as we're washing dishes or driving to pick up the kids from basketball practice. It will stick with you. It will change you. It will convict you of sin and expose areas of your life where you need to line up with God's Word. This is a handy resource to print out and keep in your Bible to guide you in meditating through a passage of scripture. We can then end our time in prayer even praying through the passage (or passages) we choose to meditate. Keep a journal to write down your thoughts as you work through the passage. Continue reading through one book of the Bible until you're all the way through it this way and you will be amazed at how much you are changed by being in the Word for even ten minutes a day. It is so helpful to have a list to pray through but what about the simplicity of praying through God's Word. I'd like to encourage you to take the time to end your morning time praying through a Psalm or the passage you're working through. You can use God's Word to pray through your prayer list. If I'm praying through Psalm 23 it may look like this: Lord, thank you that you are my shepherd. Please shepherd my family today. Make my children your sheep Lord etc. You can work through that Psalm line by line until you need to stop, or the Psalm ends, or you run out of things to pray, which most likely won't happen. You never seem to run out of things to pray when you pray the scriptures. All you need is your Bible and the Holy Spirit. Praying the Bible was a resource that helped me to foster this spiritual discipline in my life. So at this point, you're reading, meditating and praying daily but you'd like to study the Word. Where do you begin? I have a post called Bible Study Helps for Busy Moms and one with My Favorite Bible Study Tools to give you some ideas, but I want to leave you few of my favorite places to start. My first choice would be your church. When moms are in a busy season having time to learn alongside other believers in person is a great place to start. If your church has a weekly study or Sunday school class, I encourage you to commit and take the time to study on your own during the week between classes. Can you devote one day a week to study a book of the Bible a bit deeper? One hour a week to dive a little deeper into the things of the Lord? 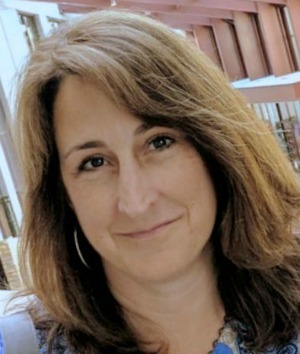 My favorite resource to recommend is Jen Wilkin's online studies for free. They take you through a book of the Bible (Old & New Testament options) and in the process you learn how to study God's Word on your own so you can take the tools you've learned and work through a book on your own. Choose one of her studies here and print out each week one at a time, so you're not overwhelmed. Keep them in a binder so you have it to look back to because when you're done, you'll have your own personal commentary on that book. Work through one week over the course of a month to not feel overwhelmed. If we want to feel deeply about God, we must learn to think deeply about God. My last resource that I highly recommend are the studies at Doorpost blog. Pam takes you through sections of the Bible inductively, and you can work at your own pace as all the studies of the past are free online. Check out her menu on the sidebar of her blog to find all the past studies. She also just started a new membership site with new studies and ways to keep track of your study time. It's called Mama's Refill and you can find out more about it here. Three minutes? Ten? Can you pray through a Psalm daily? Are you in a season to study the Word? I want to encourage you to start somewhere. It doesn't need to feel like this long and involved obligation. It is a sweet gift we have from the Lord that we can spend time with Him. He wants to hear from His children. He loves us. Open the Word and just begin. If you have littles around your feet, do your time with the Lord out loud with them listening along with you. Give them a notebook and let them share with you (whether in writing or pictures) what they learned from the passage you read. May we be women who meet with Jesus every day. Appreciate this encouragement for my morning quiet time! Praying God’s Word is a routine I’ve used before, but I need to get back to it. Excited about reading Kat Lee’s new book soon as well!! I love Kat’s storytelling and appreciated that so much in her book.